What Are the Causes of Elevated Platelet Count? What Are the Reasons for a Blood Transfusion? 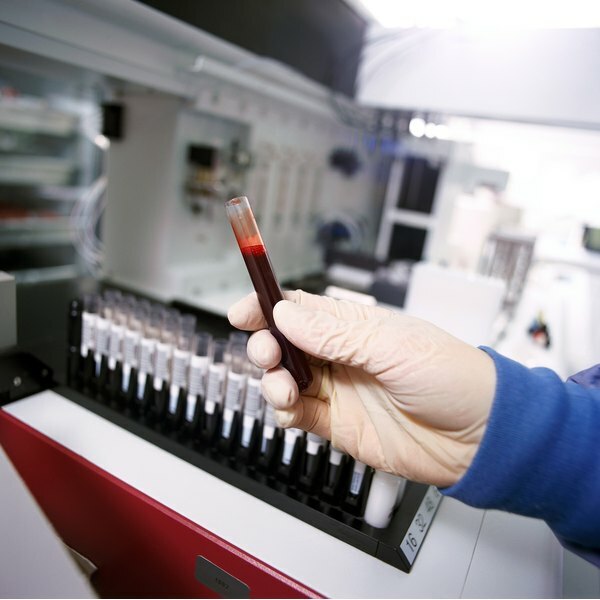 What Is an ESR Blood Test? MPV stands for “mean platelet volume.” This is a value determined through a blood test that tells the size of the platelets in your blood. The three types of blood cells are red blood cells, white blood cells, and platelets. Platelets are small, light-weight cell fragments that flow along the blood vessel wall. The inner lining of the vessel wall does not allow them to stick to it, but if the vessel is cut, the platelets are attracted to the outer layer of the blood vessel, where they stick together and begin the process of clotting to stop the bleeding. According to the National Library of Medicine, a normal platelet count is 150,000 to 400,000 per microliter of blood. This may sound like a lot, but since they are tiny, they take up a very small part of total blood volume. A low platelet count is called thrombocytopenia. Thrombocytopenia can be caused by failure of the bone marrow to produce enough platelets, or it can result from the destruction of platelets after they’re produced. A higher than normal number of platelets is called thrombocytosis. This can be caused by chronic myelogenous leukemia (CML), polycythemia vera, or primary thrombocytosis. Primary thrombocytosis results when too many platelets are being produced. It is caused by underlying conditions that trigger the overproduction. An infection, anemia, blood loss, cancer, or recent surgery can cause thrombocytosis. Inflammatory diseases such as rheumatoid arthritis, connective tissue disease, or inflammatory bowel disease can also result in thrombocytosis. This disorder results from a faulty gene that causes an overgrowth of cells. The chronic phase progresses slowly and can last a long time with few symptoms. If it is not detected and treated, the leukemia moves into an accelerated phase when the cells grow more quickly and cause fever, bone pain, and a swollen spleen. If it is still untreated, it then progresses to a third stage called a blast crisis. This is a crisis because the bone marrow stops functioning and bleeding and infection occur. This is a rare disorder in which the bone marrow produces too many of all the blood cells, including platelets. Difficulty breathing, dizziness, headache, and redness in the skin are symptoms caused by thick blood and clotting. Polycythemia vera increases the risk of blood clots forming that can cause strokes and heart attacks. It can also cause two other conditions, myelofibrosis and acute myelogenous leukemia.